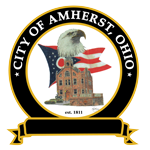 The City of Amherst owns and operates an electric distribution system that provides electric services to he homes and businesses located in and around the City. The City’s electric system receives power and energy from a number of different power supply sources through a pooling arrangement with other municipalities located in northern Ohio, which is managed by the City’s power supply agent American Municipal Power (AMP). The City’s power supply portfolio includes power generated at the hydroelectric generating plant located at Niagara Falls in New York, a coal-fired power plant located in Illinois, a natural gas-fired power plant located in Fremont, Ohio, several landfill gas-fired plants located throughout Ohio and a wind farm located in western Ohio, as well as power purchased in the wholesale energy market. In addition, overt the next few years the City will begin receiving power from several hydroelectric power plants located on the Ohio River. Due to the nature of the City’s power supply arrangements, the City’s cost of power fluctuates up and down from month to month. In order to accommodate for the fluctuations in power supply costs, the City’s electric rates include a provision that allows the rates to automatically adjust for the increases or decreases in the City’s power supply costs. This provision is referred to as the power purchase adjustment (PPA), which is reflected on the customer’s bill. The PPA only recovers increases in power supply related costs, and does not provide additional revenues for other operating costs. 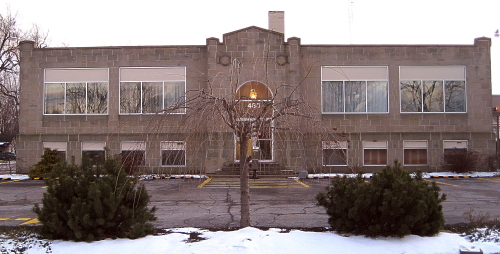 The PPA is determined each month by subtracting the base power supply costs that are being recovered through the City’s base electric rates (which is referred to as the Base Power Supply Cost (BPSC)) from the City’s running three month average p supply cost, and then multiplying the difference by 110%. The 110% adjustment is to compensate for the losses in the system. The City only sells about 90% of the electricity it receives. The other 10% reflects unbilled losses in the system, which includes losses in transformers and conductors, and unbilled services such as street lights, municipal facilities, etc. Below is Rider “A”, which is the Power Supply Cost Adjustment applicable to the City’s Electric Rate Schedules.